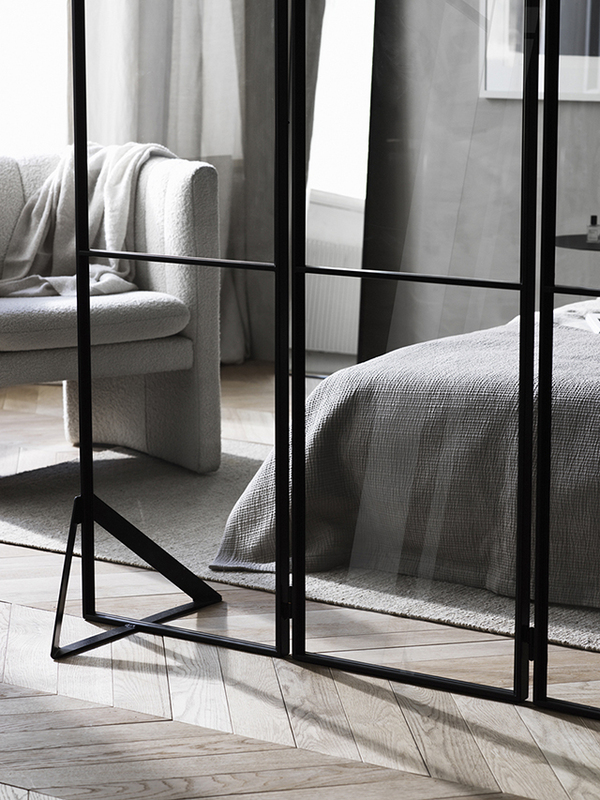 A recent discovery thanks to the amazing styling work of Lotta Agaton Interiors, Vallonia is a Swedish interior design brand renowned for their beautifully understated steel frames. Combining timeless elegance with contemporary luxury, the frames showcase impeccable craftsmanship and attention to detail. They are also a reflection of the rich heritage of the Walloons—the minors and iron workers who came to Sweden from Belgium in the 15th century to work as blacksmiths. 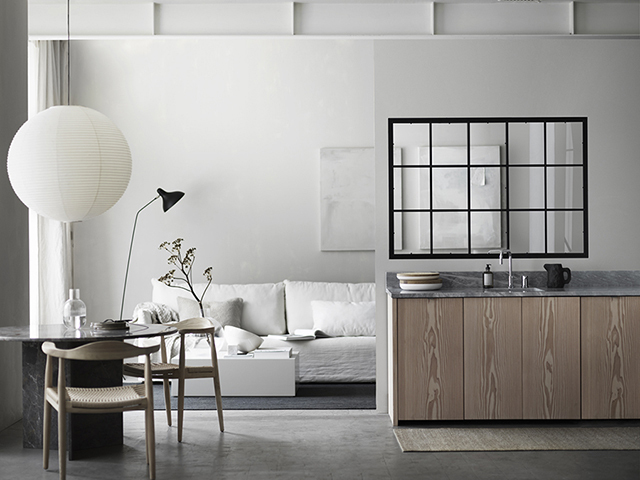 Vallonia enlisted Lotta Agaton Interiors together with photographer Ragnar Omarsson to style and photograph the Lumière Collection and the results are stunning. 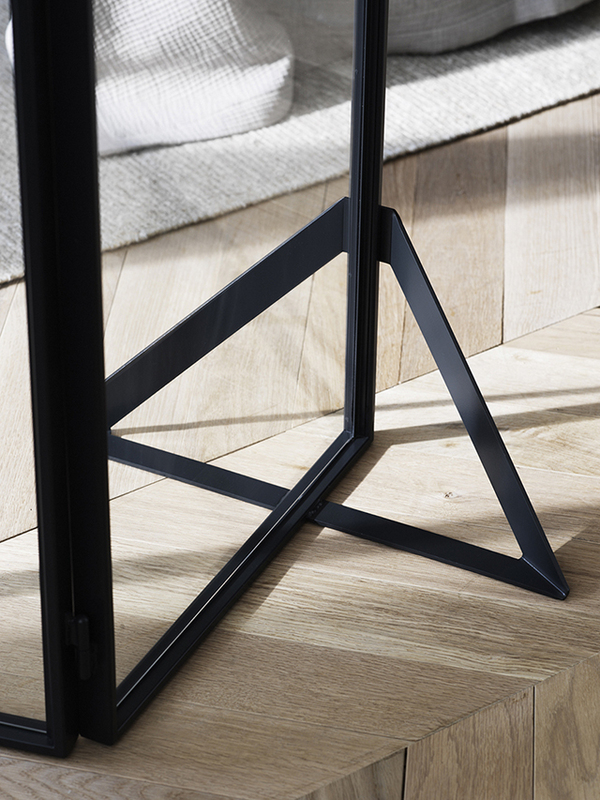 Inspired by the La Belle Époque, a period characterised by optimism and prosperity, the collection combines French luxury and contemporary Scandinavian design, with light playing the lead role. The elegant pieces have been used to create a beautiful framework for the interior spaces, which feature a textural mix of concrete and light wood accents. The collection includes an Interior Window, Walk in Shower and Freestanding Partitioner in three colour options Night Black, Velvet Gray and Cloud White. All beautiful, functional designs that provide privacy between the spaces without creating isolation. Perfection!